Category Archives: Who is Writing What? The 2017 Newbery Medal Winner – Read the Opening! The Newbery awards (both the Medal and the Honor Books) are an obsession at my house. With two Middle Grade-aged readers, and the recent completion of my first MG novel, over the years we have read the Newbery winners with passion, admiration, studious examination (reading good books is how we learn to become better writers! ), and pleasure. Selected by the American Library Association, we are excited to learn more about the 2017 Medal Winner, The Girl Who Drank the Moon, by bestselling author, Kelly Barnhill. Check out the opening pages, courtesy of Workman Publishing. This book looks absolutely delightful–congratulations, Kelly Barnhill! After the book sample, read on to learn about the 2017 Honor Books and their wonderful authors. Congratulations to you all!! 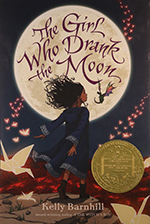 The following passage is excerpted from Kelly Barnhill’s 2017 Newbery Medal winner The Girl Who Drank the Moon. For as long as Xan could remember, every year at about the same time, a mother from the Protectorate left her baby in the forest, presumably to die. Xan had no idea why. Nor did she judge. But she wasn’t going to let the poor little thing perish, either. And so, every year, she traveled to that circle of sycamores and she gathered the abandoned infant in her arms, carrying the child to the other side of the forest, to one of the Free Cities on the other side of the Road. These were happy places. And they loved children. When Xan arrived at the grove, there was no baby to be seen, but it was still early. And she was tired. She went to one of the craggy trees and leaned against it, taking in the loamy scent of its bark through the soft beak of her nose. “A little sleep might do me good,” she said out loud. And it was true, too. The journey she’d been on was long and taxing, and the journey she was about to begin was longer. And more taxing. Best to dig in and rest a while. And so, as she often did when she wanted some peace and quiet away from home, the Witch Xan transformed herself into a tree—a craggy thing of leaf and lichen and deep-grooved bark, similar in shape and texture to the other ancient sycamores standing guard over the small grove. And as a tree she slept. She didn’t hear the procession. She didn’t hear the protestations of Antain or the embarrassed silence of the Council or the gruff pontifications of Grand-Elder Gherland. She didn’t even hear the baby when it cooed. Or when it whimpered. Or when it cried. But when the child opened its throat into a full-fledged wail, Xan woke up with a start. The baby was not impressed. She continued to kick and flail and howl and weep. Her face was ruddy and rageful and her tiny hands curled into fists. The birthmark on her forehead darkened dangerously. And she was. Transformation is tricky business, even for one as skilled as Xan. Her branches needed to wind back into her spine, one by one, and the folds of bark devoured, bit by bit, by the folds of her wrinkles. Xan leaned on her staff and rolled back her shoulders a few times to release the kinks in her neck—one side and then the other. She looked down at the child who had quieted some, and was now staring at the witch in the same way that she stared at the Grand-Elder—with a calm, probing, unsettling gaze. It was the sort of gaze that reached into the tight strings of the soul and plucked, like the strings of a harp. “Bottle,” Xan said, trying to ignore the harmonics ringing in her bones. “You need a bottle.” And she searched her many pockets to find a bottle of goat’s milk, ready and waiting for a hungry belly. With a flick of her ankle, Xan allowed a mushroom to enlarge itself enough to make a fine stool to sit upon. She let the child’s warm weight rest against the soft lump of her midsection and waited. The crescent moon on the child’s forehead dimmed to a pleasant shade of pink, and her dark curls framed her darker eyes. She was calm and content with the milk, but her gaze still bore into Xan—like tree roots hooking into the ground. Xan grunted. But just saying so made an ache in Xan’s old heart. And she was, all at once, unaccountably sad. The child pulled away from the bottle and gave Xan a curious expression. The Witch shrugged. And wrapping the baby securely in a sling, Xan marched into the woods, whistling as she walked. And she would have gone straight to the Free Cities. She certainly intended to. But there was a waterfall that the baby would like. And there was a rocky outcropping with a particularly fine view. And she noticed herself wanting to tell the baby stories. And sing her songs. And as she told and as she sang, Xan’s step grew slower and slower and slower. Xan blamed the onset of old age and the crick in her back and the fussiness of the child, but none of those things was true. And Xan found herself stopping again and again just to take yet another opportunity to unsling the baby and stare into those deep, black eyes. Each day, Xan’s path wandered farther afield. It looped, doubled back, and wiggled. Her traverse through the forest, normally almost as straight as the Road itself, was a twisty, windy mess. At night, once the goat’s milk was exhausted, Xan gathered the gossamer threads of starlight on her fingers, and the child ate gratefully. And each mouthful of starlight deepened the darkness in the child’s gaze. Whole universes burned in those eyes,—galaxies upon galaxies. After the tenth night, the journey that usually only took three and a half days was less than a quarter done. The waxing moon rose earlier each night, though Xan did not pay it much mind. She reached up and gathered her starlight and didn’t heed the moon. There is magic in starlight, of course. This is well known. But because the light travels such a long distance, the magic in it is fragile and diffused, stretched into the most delicate of threads. There is enough magic in starlight to content a baby and in large enough quantities to reveal the best in itself. It is enough to bless, but not to enmagic. Moonlight, however. That is a different story. Moonlight is magic. Ask anyone you like. Xan couldn’t take her eyes off the baby’s eyes. Suns and stars and meteors. The dust of nebulae. Big bangs and black holes and endless, endless Space. The moon rose, big and fat and shining. Xan reached up. She didn’t look at the sky. She waved her fingers above her head. She pulled her hand down when she couldn’t hold it up anymore. And the baby ate. And ate. And ate. And suddenly she shuddered and buckled in Xan’s arms. And she cried out—once. And very loud. And then she gave a contented sigh, falling instantly asleep, pressing herself into the softness of the witch’s belly. Xan looked up at the sky, feeling the light of the moon falling across her face. “Oh dear me,” she whispered. The moon had grown full without her noticing. And powerfully magic. One sip would have done it and the baby had had—well. More than a sip. In any case, the facts of the matter were as clear as the moon sitting brightly on the tops of the trees. The child had become enmagicked. There was no doubt about it. And now things were more complicated than they had been before. Xan settled herself cross-legged on the ground and laid the sleeping child in the crook of her knee. There would be no waking her. Not for hours. Xan ran her fingers through the girl’s black curls. Even now, she could feel the magic pulsing under her skin, each filament insinuating itself between cells, through tissues, filling up her bones. In time, she’d become unstable—not forever, of course. 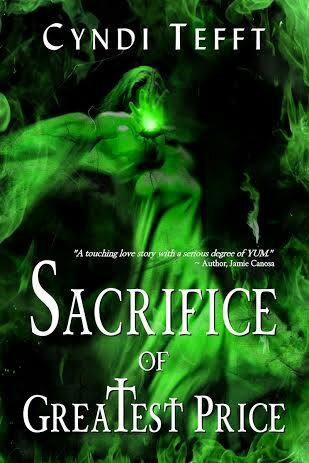 But Xan remembered enough from the magicians who raised her long ago that rearing a magic baby is no easy matter. Her teachers were quick to tell her as much. And her Keeper, Zosimos, mentioned it endlessly. “Infusing magic into a child is akin to putting a sword in the hand of a toddler—so much power and so little sense. Can’t you see how you age me so, girl?” he said over and over. And it was true. Magical children were dangerous. She certainly couldn’t leave the child with just anyone. The baby breathed deeply through her nose. A tiny smile quivered in the center of her rosebud mouth. Xan felt her heart leap within her and she cuddled the baby close. And just by saying so, Xan knew it was true. The words hummed in the air between them, stronger than any magic. She stood, slid the baby back into the sling and began the long journey toward home, wondering how on earth she’d explain it to Glerk. 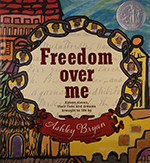 Freedom Over Me: Eleven Slaves, Their Lives and Dreams Brought to Life by Ashley Bryan, written and illustrated by Ashley Bryan and published by Atheneum Books for Young Readers, an imprint of Simon & Schuster Children’s Publishing Division. 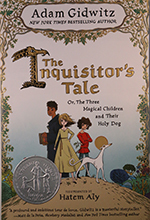 The Inquisitor’s Tale: Or, The Three Magical Children and Their Holy Dog, written by Adam Gidwitz, illustrated by Hatem Aly and published by Dutton Children’s Books, Penguin Young Readers Group, an imprint of Penguin Random House LLC. 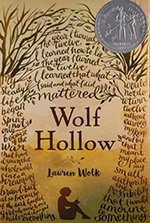 Wolf Hollow, written by Lauren Wolk and published by Dutton Children’s Books, Penguin Young Readers Group, an imprint of Penguin Random House LLC. Cover Reveal! Book 4 of Between Series is HERE! At last! The awaited cover reveal of the much-anticipated fourth book in Cyndi Tefft’s BETWEEN series has arrived! Sacrifice of Greatest Price will soon be in our hot little hands. (Well hello again, Mr. MacRae;) Until then, have a peek at this teaser and follow Cyndi for word on the book’s release date. Enjoy! Learn more about author Cyndi Tefft at cynditefft.com. 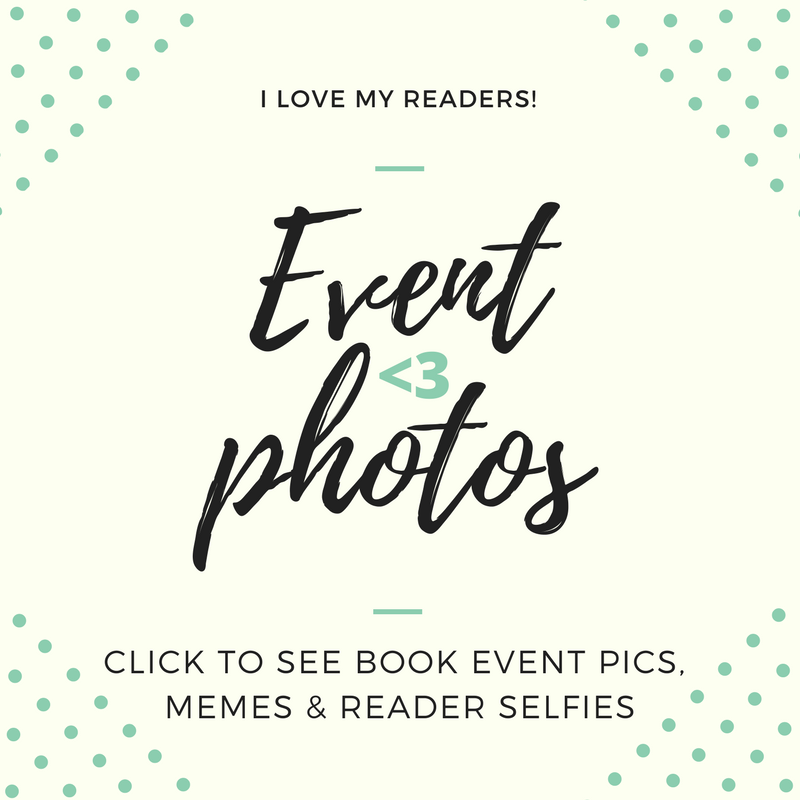 I recommend you check out this page to see book trailers and goodies created by Aiden’s Angels, uber-fans of the BETWEEN series. Filed under Fiction Novel Writing, Who is Writing What? Readers and writers, Ms. Falls’ announcement comes at a particularly special time in my life. With her new book on the horizon, S.K.’s plate is full to say the least. Nonetheless, she chose to support our craft and industry by lending her expertise this fall for Brenda Drake’s Pitch Wars 2014, a contest where published and agented authors, editors, or industry interns choose one writer to mentor from over 1,000 manuscript submissions. This is no small task. Mentors read their chosen writer’s entire manuscript, and offer suggestions to shine it up for agents, as well a pitch critique. Pitch Wars then hosts an agent round with over a dozen agents making requests. It was my surprise and honor when S.K. Falls chose to work with me on my manuscript, Radio Head. As Brain Pickings’ Maria Popova says, “There is something quite wonderful about witnessing one human being selflessly bolster the creative achievement of another, especially in a culture where it’s easier to be a critic than a a celebrator or collaborator.” I agree. I think it’s inspiring and admirable that, in the course of writing and publishing her own books, S.K. committed her time and experience to an unpublished author. I am so thankful to her. And I’m excited to share this excerpt from S.K. 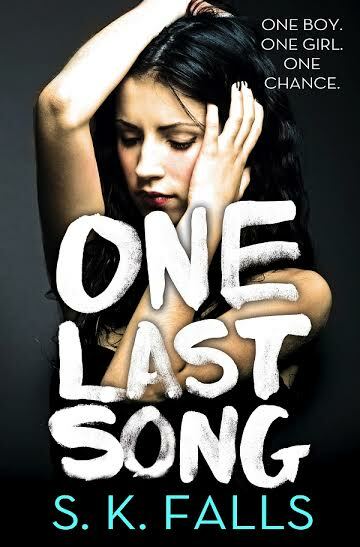 Falls’ new book, One Last Song! S.K. Falls likes to believe a degree in psychology qualifies her to emotionally torture her characters in an authentic fashion. Her books have won the gold medal in the 2014 IPPY awards, been featured on USA Today’s book blog, and regularly appear on Amazon’s various bestselling lists. When she isn’t writing her twisted love stories, she can be found gallivanting around Charleston, SC with her family. Visit her on the web at www.skfalls.com. I’ll admit it, I’m a fangirl. When an author’s amazing book inspires awe, when an agent teaches a class with the intention of improving and inspiring our burgeoning manuscripts, or either write a blogpost containing encouragement and advice for other writers–well, I want to return the favor of their generosity and give them a (virtual) hug. I can’t get enough of author Jody Hedlund‘s blog, a vast compendium of rational, well-thought-out, organized and helpful advice on the craft of fiction writing. (She MUST teach a writing class. She must.) Her advice is so thorough, so intelligent, and in many cases so refreshing, that I began reading her books–I wanted to witness the application of Hedlund’s fascinating writing theories. 5. Tweet about the book. Recently Pamela Trawick tweeted a noteworthy tweet about The Preacher’s Bride. In 140 characters she managed to capture the essence of her reading experience: The Preacher’s Bride is outstanding. Great tension, good pace, fabulous plot. Read it. 6. Make a short comment of praise about the book on Facebook (or copy the one from Twitter). Twitter streams move quickly, and so tweets come and go. But on facebook, news has the ability to stick around a bit longer. 7. Pass along the book to a friend or to family. And ask them to pass it along when they’re done. 8. Buy the book as a gift for friends and family. Publishing houses keep track of every book sale. And each purchase is important to an author. 9. Ask your local library to carry the book. First check if they have the book (you can usually look it up online). And if they don’t, next time you’re at your library, personally request the book. 10. Make an effort to pass on your love of the book. Somehow, someway tell someone how much you liked the book. Word-of-mouth is the best way to help support an author! The more times a person hears about or sees a book, the greater the chances that they’ll pick it up and read it. What other practical ideas have you done to help support authors? Have you taken the time to publicly support a book or author you’ve liked? Or haven’t you given it much thought before now? Marketing is part of the job description of the modern author. Whether we’ve gone with self-publishing, small indie press, or the traditional route, all authors must market. However, writers tend to be happier working quietly, alone. 1. Connect With Readers: Pay attention to what they’re saying on our blogs, facebook, and twitter. Be available. Make sure do the best we can to answer personal emails and messages. 2. Engage Readers: Don’t stand on the sidelines. Instead jump into social media conversations. Ask questions on Facebook or Twitter. Discover what people think or how they feel about issues. 3. Care For Readers: Find ways to let them know we appreciate them. Offer encouragement. Be real and open so they feel comfortable sharing their concerns and problems with us. In one word: LOVE. Yes, love your readers. If you love your readers, they’ll promote the heck out of you. I’m sure we can all think of an author we’ve met online (or in person), one we’ve grown to admire and respect because of how personable and kind they are. I know it makes a huge impact on me when an author is down-to-earth, chats with me, retweets something I say, leaves a comment on my blog, etc. I may have already liked that particular author. But my admiration rises even higher when they take the extra effort to connect with me. On the reverse side, our admiration for authors diminishes when they act too busy for us, don’t respond to something we say, or only chat within a certain circle of author friends. My point is that if we as writers grow to appreciate other writers/authors who connect with us, imagine how much that means to our readers when we make an effort to relate to them. Marketing 101: Start by loving the readers we already have (including followers on social media sites). We may want more. But first we have learn to take care of those that are already sitting in our stadium. We need to figure out ways to bless and encourage the audience that’s before us. When we’re loving and taking care of the readers and followers we have, they’ll WANT to support us. They may even go out of their way to help us and shout out the news about our books. They’ll be excited to promote for us, essentially taking a large part of “self” out of self-promotion. We won’t need to toot our own horns so loudly because our readers will do the tooting for us. What do you think? Have you supported authors because you’ve learned to like and appreciate them? Is “loving your readers” a good strategy? Or do you think it’s lame? If so, what do you think can work better? Isn’t Jody Hedlund fantastic? If you would like to read more of her ideas, I’ve posted Hedlund‘s 5 Transformational Story Elements here. She offers a goldmine of excellent advice for polishing your WIP until story shines. Filed under Best Writer Tips, Fiction Novel Writing, Guest posts, Who is Writing What?